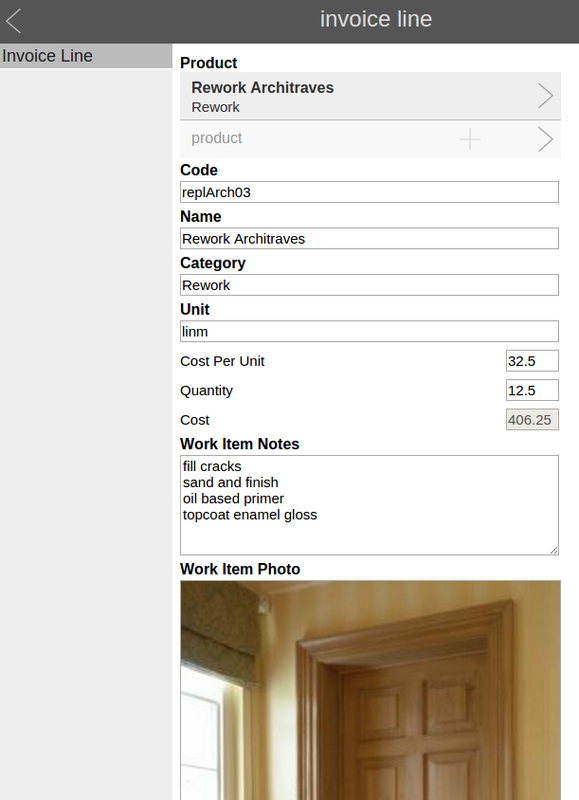 Lets say we want to create an app for a home Builder / Carpenter – they need to quickly make up an invoice on their mobile tablet, while onsite at a job. I’ve shown the relations in bold, where one item refers to another item. So you just click thru and define the ‘DataModel’ above, and then you can run the app and try it out immediately. The immediate feedback is really useful. You can show a user, get them to try it and give feedback. You can try out different models and see which fits their business better. This iterative approach really helps to reduce risk and cost in developing an app. We could have picked any domain and modeled it in the same way with CollabAPI. Its not about Invoices .. its about making an app to fit your particular business : quickly and iteratively. If your business finds it helpful to have a photo in each InvoiceLine, to give the customer more insight into the Job .. so be it. When you business changes, you can change the datamodel to fit the new circumstance. I hope you’ll agree, CollabAPI takes a pretty radical, and yet very practical approach. 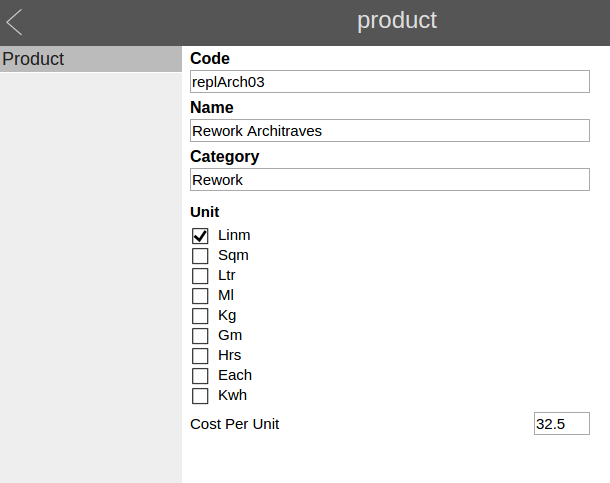 gocanvas.com is great : you can create form apps for your business without programming. more than one kind of thing ! And these things have important relationships between them : A Customer may have several site Addresses. A Job may have several different kinds of Checklist attached. 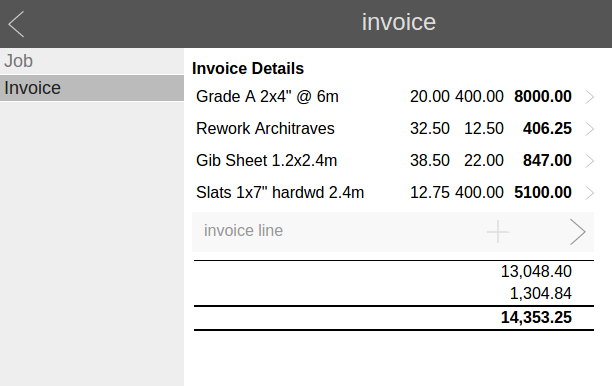 An Invoice will have several Products for each Job for a Customer .. and so it goes. A good app [ mobile or otherwise ] will have a data-model that reflects the REALITY of your business, and it will be flexible enough to handle the relationships between the data items. This is the old-school database stuff they figured out in 1940, which has been the staple of business IT for the past 60 years – they call them ‘Relational’ databases for a reason. These days we want more flexible data, there is the whole NoSQL movement, key-value stores, XML and JSON. To model reality and business we need natural tree and graph structures, not everything is a table. Just dont throw away the baby with the bathwater : we need relations. This lack of relationships is killer for IT departments – they cant run a retail business or a supply chain or a sales organisation or a manufacturing plant without this flexibility. Its also killer for startups exploring new business models who need an app to manage their operations or customer needs accurately and in a flexible way. The solution is to have a tool that is great for making forms… but is also great for handling relations between different kinds of things. Its early days, but this part we got right from the start – CollabAPI does support relations. If you’d like to be on the beta list to try CollabAPI App Builder tool for your business mobile app… get in touch. The more Things and Relations your app has, the better !